Brainstorming a future US$3,000 Samsung cinema camera. I don’t think it would take much more to get there (well…. it would be a significant sized project for Samsung for sure, but easily well within their grasp to pull off). 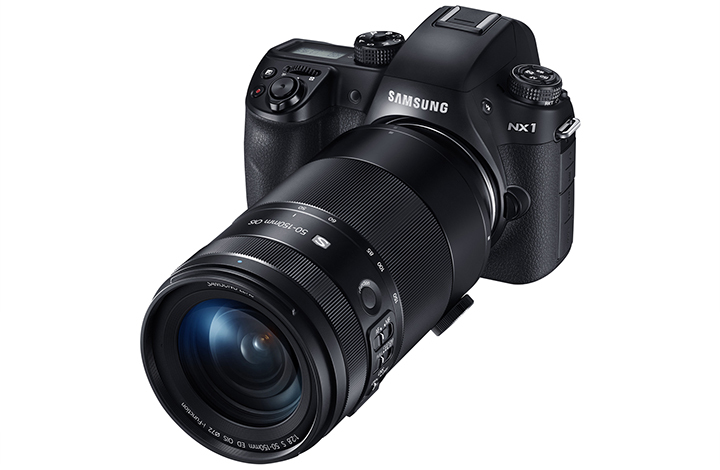 Because the Samsung NX1 is already such a fantastic video camera! The best at its price point, and arguably the best stills camera for filming with at *any* price point! Even over a year later since the Samsung NX1 was announced. (yes, I’m even including the new Sony A7s mk2 in this comparison! Though what is “best” at this point can at times get to be highly subjective, depending on what you place more or less weight on as being important) Thus we could easily imagine how great a pro version of the NX1 focused on filming (rather than photo stills) could be…. Make space for dual mSATA slots, perhaps mSATA already in their own simple plastic casing like what Atomos does with SSDs (I think Sound Devices made a good choice going mSATA on their small PIX-E5 recorder, and in a small camera it makes even more sense over the large SSDs). Dual slots are needed so you can write a proxy to the 2nd slot, or just simply if you need the extra bandwidth when doing 6.5K raw at high speed. Can’t stick with SD cards, as they won’t handle 4K ProRes HQ, which leads me onto my next point…. Make its HDMI port a full sized HDMI port. I think if Samsung did this (and nothing else, just the five points listed above: mSATA + DNxHR/ProRes + XLR + full HDMI + SDI inputs) for US$3,000 then they’d have a huge huge indy cinema camera hit on their hands! The next DVX100 or 5Dmk2 of our generation?? Camera mount: just before, I’m assuming they’re sticking with the Samsung NX mount that the NX1 has, and only making the body a little bit bigger. As Andrew mentioned perhaps their mount held back sales of the NX1, maybe this cinema camera should have a different mount? Ideally I’d like to see them use the Sony FZ mount (as this would mark it out as a true cinema camera, able to be used with the best of the best cinema lenses, yet also allowing tremendous flexibility with this mount! ), next best choice would be using the Sony E mount, 3rd best is Micro Four Thirds (like the JVC LS300). Branding/marketing/licensing issues mean I expect sadly all of these are out of the question. Thus I feel the best Samsung can realistically do is create their own open cinema mount, which has similar features to the Sony FZ mount. But make it completely open and easy for anybody else to adapt. Thus Samsung will start off by selling their Samsung Cinema Camera with the high prestige PL Mount, but in a blink of an eye we’ll see third party manufacturers offering adapters for everything you can possibly imagine (like they do now for the Sony FZ mount!). High Speed Options: apparently their engineers managed 6.5K 240fps in testing, maybe we could at least get this cinema camera to give us 1080p 240fps or 4K 60fps? Raw: need I say any more? This could hit it out of the park! What are your thoughts? Write a comment below! Remember, it should be based on the existing underlying NX1 technology (so not too much more R&D is needed for Samsung to get it to market. As even this limited list would take a huge effort on Samsung’s part to make happen) or using commonplace readily available tech (such as mSATA, or SDI connections) and hit a US$3k price point or at least not more than a couple thousand over that. Previous PostWhich recorder/monitor is best for the Sony PMW-F3? Next PostDoes Canon 50D Magic Lantern Raw make sense in late 2015? ?